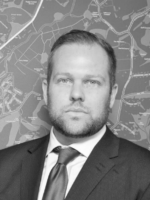 As Senior Branch Manager, Sam brings many years’ experience of working in the lettings industry – both in Yorkshire, prime central London and also Surrey. Having worked for small boutique agencies and large corporates, Sam is pleased to be working for such a unique and high-end brand as CityLets York. His responsibilities are to oversee the smooth running of day-to-day activities within the office and enjoys getting involved with clients and landlords, providing advice whilst resolving issues quickly and effectively. Sam is particularly excited to be working in such a beautiful city as York and is keen to use his experience to enhance the CityLets brand. 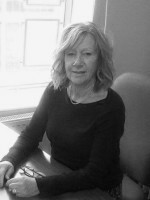 Jane is one of the most experienced Lettings professionals in the York area. She has the ability to match people to properties with absolute precision and has an outstanding knowledge of the investment market across the city, having developed a very broad network of contacts in the lettings sector, over many years. Jane’s has worked with many a happy landlord and is able to offer expert advice on all aspects of the lettings and investment process, including market conditions, legislation, practicalities, tenant attraction, valuations and much more. Always out and about, Jane is at the forefront of York’s letting market – thriving on getting to know people and offering support – her ideal day is a full diary where she barely has time to draw breath! Her passion for letting property is matched only by her passion for shopping! Whether you are looking to find out more about York’s investment potential, expand your current property portfolio or switch letting agents to get the very best service possible, Jane is the person to talk to…. Having joined CityLets York in 2014, Leanne is a highly valued member of the team and has recently been promoted to Senior Lettings Negotiator. 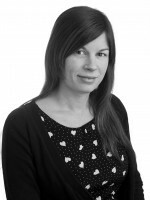 Leanne fulfils a hectic role, juggling between overseeing the letting process of new and existing properties, meeting with new tenants, liaising with landlords and ensuring all paperwork is completed to meet compliance requirements. Her impressive knowledge, effortless charm and ability to deal with the most complicated issues are what set Leanne apart. She is a lover of people and enjoys getting to know so many great personalities from such a varied range of backgrounds. Following a career in the property industry which has involved 10+ years of Property Management, Pam joined CityLets York in early 2017 and takes care of managing a portfolio of rental properties across York. Pam looks after both the needs of landlords and tenants to ensure both parties are receiving the service they expect. Any queries relating to the properties are overseen by Pam, always striving to provide a swift and effective solution. 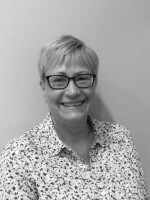 From arranging repairs and upkeep on behalf of tenants, to communicating with landlords and keeping them up to date with changes, Pam really enjoys the variety her role brings. Not knowing what the day might throw at you is something that keeps Pam on her toes and the challenge of keeping our customers happy through successfully resolving their needs is what she finds most fulfilling. Out of work, Pam enjoys a relaxing lifestyle, reading books, walking the dogs in the countryside and visiting new places. Of Australian origin, James joins us having graduated at the University of South Australia and dedicated more than 10 years to looking after customer needs to a high standard. 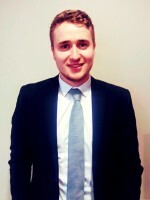 In his role at CityLets York, he oversees the management of tenant applications, looks after various marketing responsibilities including both new and existing properties available for let, whilst ensuring that viewings are arranged and conducted effectively on behalf of landlords. James loves the busy nature of his role, working in the strong team environment at CityLets York and striving to achieve goals centred around landlord and tenant satisfaction. Out of work , James keeps in touch with his Aussie roots, finding time to watch sport, particularly Australian football and basketball. The gym and his friends are also high up on his agenda. Vicky plays a crucial role in the renewal part of the business. She is meticulous in her work and calmly and professionally deals with the negotiations between landlord and tenant during the renewal process. Every year Vicky spends a great deal of her spare time raising money for charity and certainly knows how to get her colleagues to support the good work she does. An absolutely vital member of the team! Karen is ARLA qualified and has worked for CityLets York since 2014. She takes care of tenant enquiries up until they move in to a property, organising contracts, inventories and referencing in line with required timeframes. She also uses her first class organisational skills to oversee the daily running of the office, taking care of diaries and arranging viewings accordingly. It is a good job that Karen has such excellent attention to detail, as her role is all about multi-tasking, and her work ethic for going the extra mile to support colleagues and customers shines through consistently. It gives Karen great pleasure to see the letting process move smoothly for both tenant and landlord – aiming for no less than a stress-free and smooth completion, yet ensuring she is there on-hand, to rule out any blips along the way. When not enjoying quality time with her son and her cat called Bailey, Karen enjoys getting together with friends for a game of ten pin bowling and is a fan of of jetting off overseas to discover new places and people. Back in the day, Sally worked as PA to the original Founders of CityLets York and chose to return in early 2017, responsible for growing the portfolio of Serviced Apartments at CityLets. 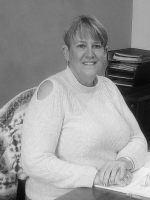 As a previous landlady herself, Sally understands the priorities of our clients and brings a wealth of experience in business management/administration, together with adhering to compliance and implementing streamlined systems and processes. Sally strives to offer a first class service that she would only expect to receive herself, advising investors with regards the serviced let market and revenue potential, overseeing the marketing of our serviced apartments, maximising occupancy levels and maintaining 5* standards across the portfolio. First and foremost though, for Sally, is to ensure an enjoyable experience is delivered to both Guests and Landlords alike. She loves to read a positive customer review and enjoys welcoming back and getting to know our many repeat visitors and long-standing landlords. Charlotte joined CityLets in 2007 so has just recently reached her 10 year anniversary. Having worked in a variety of roles, she is now responsible for overseeing the Accounts of the Serviced Apartments division, ensuring landlords and contractors are paid promptly, whilst processing invoices, rental payments and returning deposits as required. 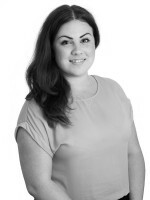 Lauren is a dedicated member of our property mangement team, taking care of managing rental properties on behalf of our valued landlords which includes a whole range of tasks from resolving tenant needs and overseeing property repairs to administering the tenant deposit scheme. Lauren is a real people-person and loves to get to know landlords and tenants so she can do the very best job. Having worked in past-paced roles which are driven by customer service and strong organisational skills, she couldn’t be better suited to this position. Family and friends play a large part in her life outside of work when she is not at the gym or travelling to discover new places.